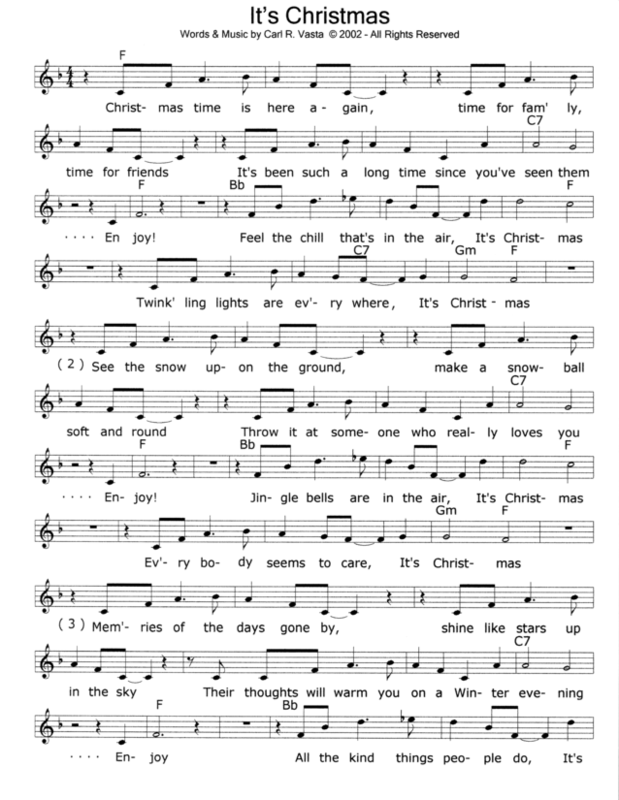 "It's Christmas", is the main title song from my Christmas CD and is about keeping Christmas in your heart all year. 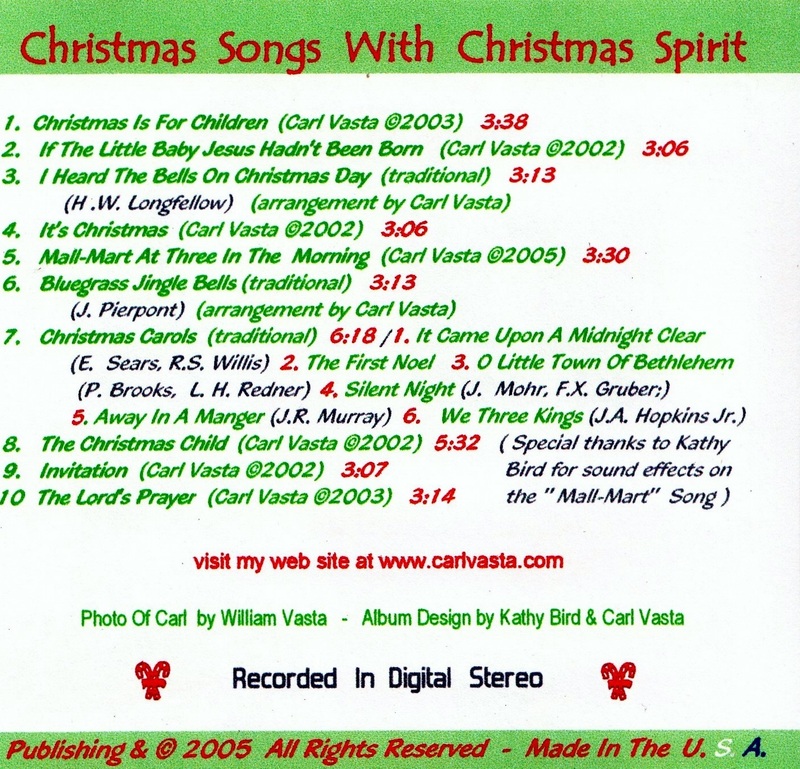 There are 10 songs from the CD - 7 original songs and 3 traditional songs. 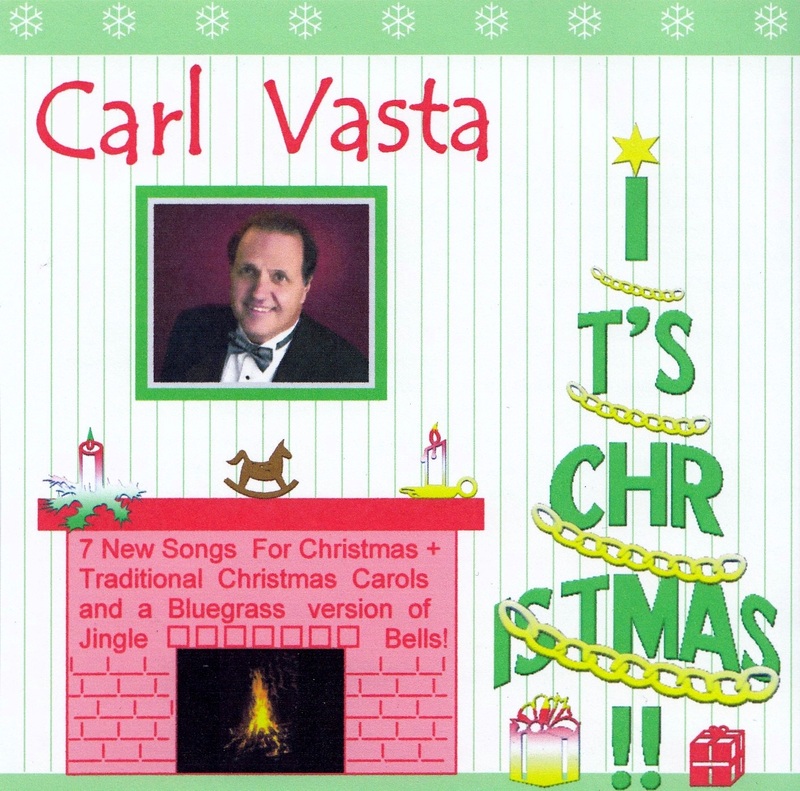 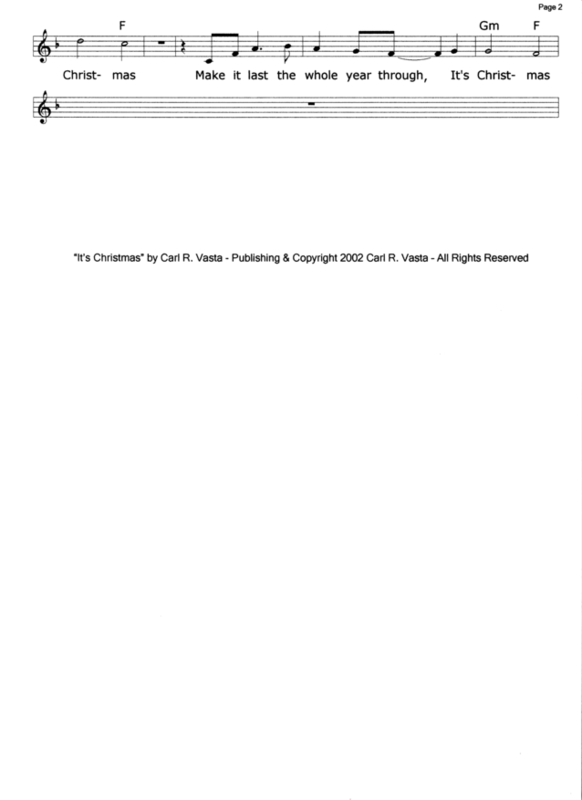 All are arranged and performed by Carl Vasta.